Too Rich to Live? The estate tax is set to come roaring back in January. That sets the stage for a perverse calculus: End it all-or leave a massive bill for your heirs to deal with. 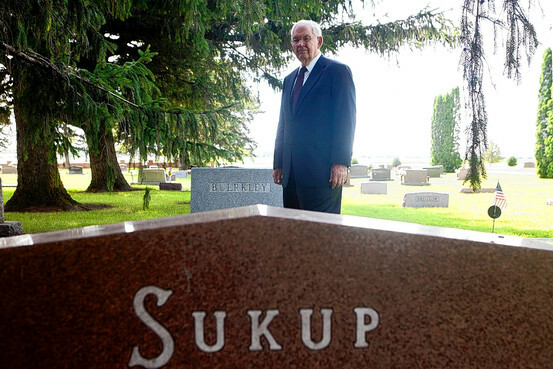 Eugene Sukup, 81, visits the grave of his parents and grandparents at the Hillside Cemetery in Sheffield, Iowa. It has come to this: Congress, quite by accident, is incentivizing death. When the Senate allowed the estate tax to lapse at the end of last year, it encouraged wealthy people near death’s door to stay alive until Jan. 1 so they could spare their heirs a 45% tax hit. Now the situation has reversed: If Congress doesn’t change the law soon-and many experts think it won’t-the estate tax will come roaring back in 2011. Not only will the top rate jump to 55%, but the exemption will shrink from $3.5 million per individual in 2009 to just $1 million in 2011, potentially affecting eight times as many taxpayers. The math is ugly: On a $5 million estate, the tax consequence of dying a minute after midnight on Jan. 1, 2011 rather than two minutes earlier could be more than $2 million; on a $15 million estate, the difference could be about $8 million. Of course, there is a “death incentive” whenever Congress raises the estate tax. But it hasn’t happened in decades; the top rate has held steady or fallen since 1942, according to tax historian Joseph Thorndike of Tax Analysts, a nonprofit group. In fact, the jump from zero to 55% would be “the largest increase in a major tax that we’ve ever seen,” Mr. Thorndike says. That possibility presents a bizarre menu of options for wealthy older people-and their heirs. Estate planning was never cheerful, but now it is getting downright macabre, at least for the tax averse. 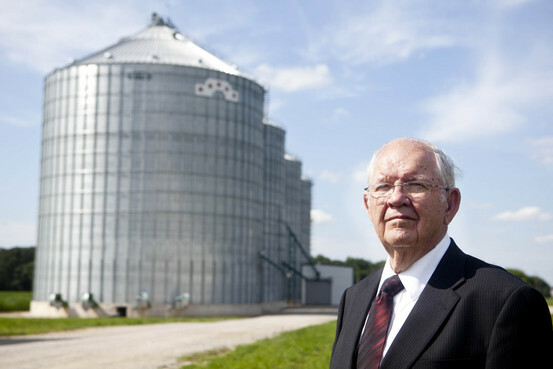 “You don’t know whether to commit suicide or just go on living and working,” says Eugene Sukup, an outspoken critic of the estate tax and the founder of Sukup Manufacturing, a maker of grain bins that employs 450 people in Sheffield, Iowa. Born in Nebraska during the Dust Bowl, the 81-year-old Mr. Sukup is a National Guard veteran and high school graduate who founded his firm, which now owns more than 70 patents, with $15,000 in 1963. He says his estate taxes, which would be zero this year, could be more that $15 million if he were to die next year. Advisers say the estate-tax dilemma is especially awkward for heirs. “At least in December 2009, people wanted to keep their relatives alive,” says Ronald Aucutt, an estate-tax attorney with McGuire Woods in the Washington area. Now he and others are worried that heirs may be tempted to pull plugs on Dec. 31. Economists might call the taking of a life to reap a tax advantage a “perverse incentive.” District attorneys might call it homicide. Taxpayers trying to cope with such surreal situations need to understand how they came to be. The roots go back to 2001, when Congress cut the estate tax rate to 45% from 55% and increased the exemption gradually over a decade. From its 2001 level of $675,000, the exemption rose to $3.5 million per individual by 2009. Thanks to legislative sausage making, the rules got extreme after that: The tax disappeared altogether in 2010, but was programmed to revert in 2011 to a $1 million exemption with a top 55% rate. Few Washington insiders expected Congress to allow the tax to snap back so sharply next year. So why, with nine years to act, didn’t it fix the problem? Political wisdom holds that estate tax changes can’t happen in election years for fear of angering voters, and Hurricane Katrina derailed a 2005 opportunity. Late last year, the House of Representatives passed an extension of the 2009 estate tax, but the Senate didn’t act. Compounding the problem, lawmakers didn’t hammer out a fix early this year, as many had expected. Extending the 2009 law retroactive to the beginning of 2010 would have made a seamless transition and resolved issues taxpayers are now facing. Instead, the estate tax has been in limbo all year. Senators are divided among three possible solutions. Some favor the pre-Bush rate of 55%, while others advocate a 35% rate (with a more generous exemption). A third group prefers the old 45% rate. Many Washington insiders are betting Congress won’t act this year because of an overflowing to-do list, the fall election and fewer than 40 working days left in 2010. At least one near-deal has failed the Senate this year. Pressure to act will likely grow following the November elections, when Congress is expected to address many other expiring Bush-era tax breaks, including income taxes and capital-gains rates. Meanwhile, the living and their relatives face a complex calculus with unknown variables. The Internal Revenue Service has yet to issue guidance explaining current estate-tax law, and no one knows if Congress will include retroactive elements when members deal with the tax. “Not only is the future uncertain, but the past is also. We have no idea what the law is,” Mr. Aucutt says. So far in 2010, an estimated 25,000 taxpayers have died whose estates are affected by current law, according to the nonpartisan Tax Policy Center. That group includes least two billionaires, real-estate magnate Walter Shorenstein and energy titan Dan Duncan. Another unknown is whether-assuming lawmakers act-changes will be retroactive to the beginning of 2010, and if they will be mandatory. Experts say a pure retroactive extension might be constitutional, but they doubt one is feasible at this late date. “Enough very wealthy people have died whose estates have the means to challenge a retroactive tax, and that could tie the issue up in the courts for years,” says tax-law professor Michael Graetz of Columbia University. Whatever the outcome, few see the zero-tax regime persisting for very long because of the nation’s stratospheric debt and deficits. “I don’t see how Congress can get out of this without creating winners and losers,” says Beth Kaufman, an attorney at Caplin & Drysdale in Washington. Estate planners and doctors caution against making life-and-death decisions based on money. Yet many people ignore that advice. Robert Teague, a pulmonologist who ran a chronic ventilator facility at a Houston hospital for two decades, found that money regularly figured in end-of-life decisions. “In about 10% of the cases I handled at any one time, financial considerations came into play,” he says. In 2009, more than a few dying people struggled to live into 2010 in hopes of preserving assets for their heirs. Clara Laub, a widow who helped her husband build a Fresno, Calif., grape farm from 20 acres into more than 900 acres worth several million dollars, was diagnosed with advanced cancer in October, 2009. Her daughter Debbie Jacobsen, who helps run the farm, says her mother struggled to live past December and died on New Year’s morning: “She made my son promise to tell her the date and time every day, even if we wouldn’t,” Mrs. Jacobsen says. In New York the lapsing tax spawned a major family conflict, according to one attorney. As a wealthy patriarch lay dying at the end of the year, it became clear that under the terms of the will his children would receive more if he died in 2010, while his wife (not the children’s mother) stood to benefit if he died in 2009. The wife then filed a “do not resuscitate” order and the children challenged it. The patriarch lived a few days into 2010, but his estate, like Mrs. Laub’s, remains unsettled given the legislative uncertainty. Mr. Aucutt, who has practiced estate-tax law for 35 years, expects to see “truly gruesome” cases toward the end of the year, given the huge difference between 2010 and 2011 rates. Without knowing what the estate tax is, has been or will be, advisers say it is difficult to offer counsel that applies broadly, as techniques that work under one version of the law backfire in others. Whatever happens, advisers say people who might be affected should take a careful look at their power-of-attorney documents. Under last year’s law, large gifts before death sometimes made sense, depending on the state of residence. This year they could be a terrible move. Advisers also suggest paying attention to health-care proxies. Who will be making choices, using what factors? Anne L. Stone, an attorney in McLean, Va., has an elderly female client who recently instructed her to write a provision into a health proxy directing her children to take estate taxes into account when making end-of-life decisions. What about the options for taxpayers who are so eager to reduce their heirs’ tax burden that they are considering ending their lives? Three states-Oregon, Washington and Montana-allow versions of the practice. Oregon’s law took effect in 1997 and Washington enacted a similar one in 2009. Montana’s Supreme Court recently ruled that nothing in the state constitution prohibited doctors aiding patients with dying, but voters haven’t yet specifically authorized it. Still, states strongly discourage what’s becoming known as “suicide tourism” with elaborate residency and documentation requirements. Similarly, some countries, such as Switzerland and the Netherlands, have long allowed physicians to aid patients in dying. But only Switzerland extends this benefit to foreigners. Doctors and hospice professionals, meanwhile, say moving terminally ill patients to places with so-called aid-in-dying laws is usually a bad idea because it adds stress at an already difficult time. “Many people are thinking about [the estate tax], but the truth is that committing suicide is not a normal way of ending your life,” says Porter Storey, vice president of the American Academy of Hospice and Palliative Medicine. The uncertainty of the legislation is causing stress even for relatively healthy taxpayers like Art Nickel, who is 78 and lives in the Denver area. He owns a substantial sum in low-cost stock accumulated during a 35-year career as an IBM systems engineer. Like Mr. Sukup, he started with nothing and worked his way up, putting himself through the University of Wisconsin and serving in the Air Force. – John D. McKinnon contributed to this article.